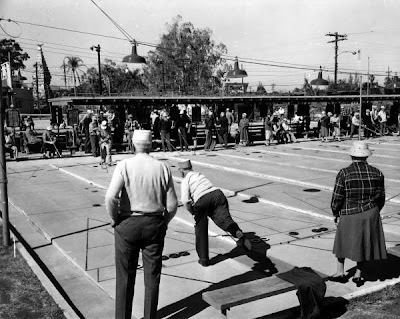 Several people I've talked to recently have been excited about watching curling in the Winter Olympics, describing it as shuffleboard on ice. 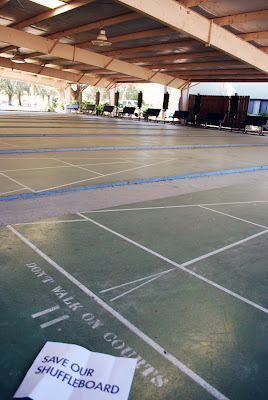 Unfortunatley there don't seem to be that many people concerned about regular old shuffleboard. 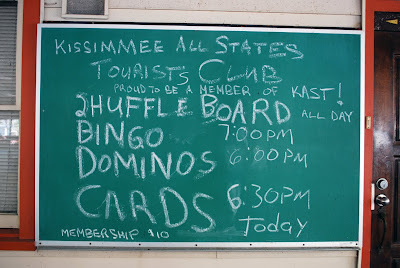 In a previous post, I talked about shuffleboard as a part of Florida's tourist history and I highlighted Kissimmee's KAST club. 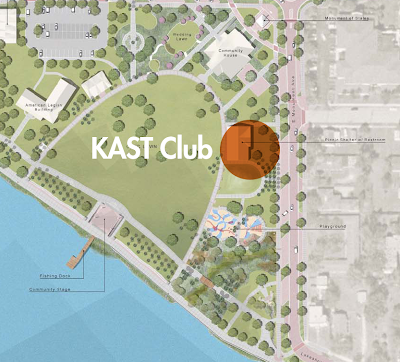 This week I was disappointed to hear that the City of Kissimmee has plans to demolish the KAST club as it remodels Lakefront Park. 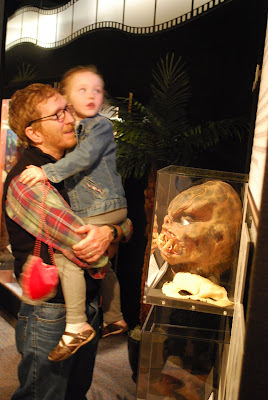 I first learned of the plans from another blog and then saw a local news story on the subject. 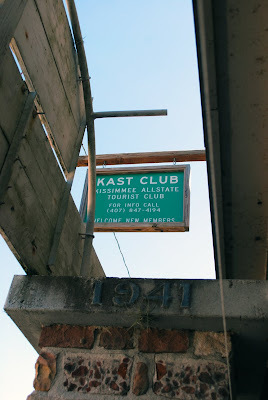 The members of the KAST club, (Kissimmee All States Tourists), seem saddened and dismayed at the prospect of being "cast" out of the home they've utilized for almost 70 years. 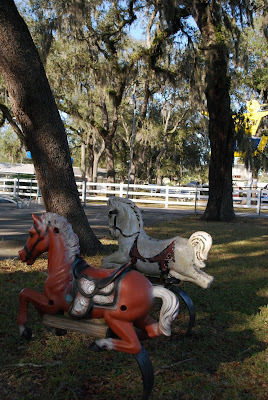 The City of Orlando is going through a similar situation where the park they've built at a former horse racing track is being expanded and in the process they are tossing out a charity that allows special needs kids to ride horses. 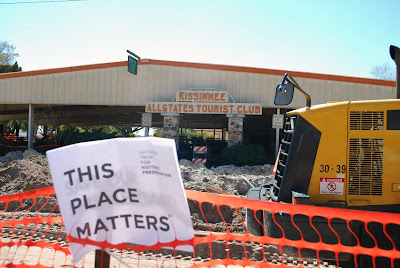 Their rationale is that they will serve more people with ball fields than are served by the charity, the same argument used by the City of Kissimmee to dismiss the KAST club. 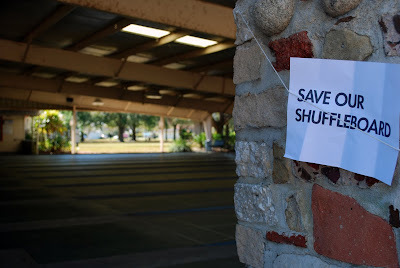 The St. Pete Shuffleboard Club has shown that shuffleboard can appeal to a wider audience, hosting weekly events with music and food that attract a younger crowd. 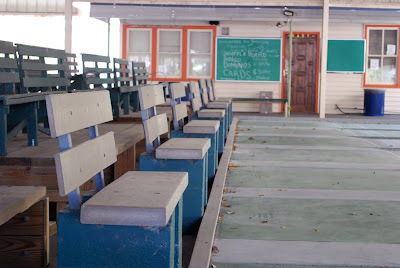 It seems a shame that such a wonderful time capsule of Floridaina may go by the wayside for a picnic pavillion and restrooms. 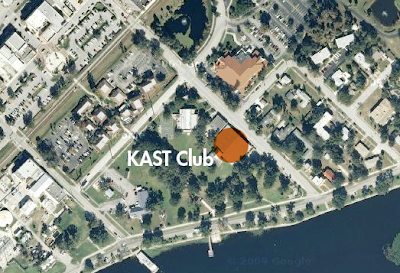 If you're interested in the ongoing saga of the KAST Club courts join the Save our Shuffleboard group on Facebook! 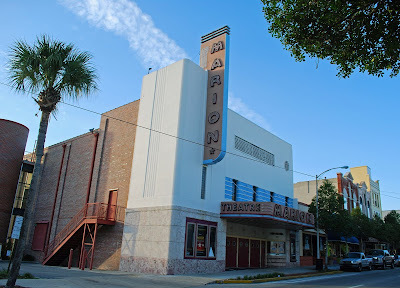 Ocala has a cute little downtown square surrounded by historic architecture and nearby is the Streamline Moderne Marion Theatre. 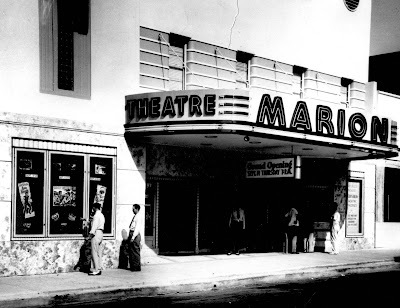 Opening on September 11, 1941, the theater closed in the mid ’70s and sat vacant for 13 years. 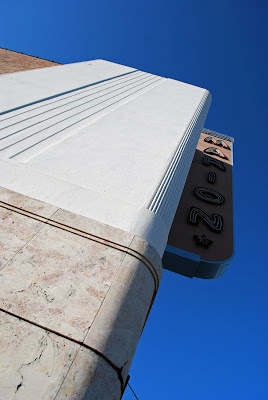 The art deco lines and neon are original, and after a brief stint as a children's science museum, the theater's interior was restored. 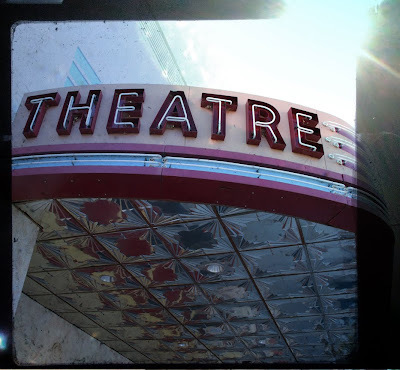 It looked empty when I was there, but I believe it is used by a civic theater company and for improv comedy shows. 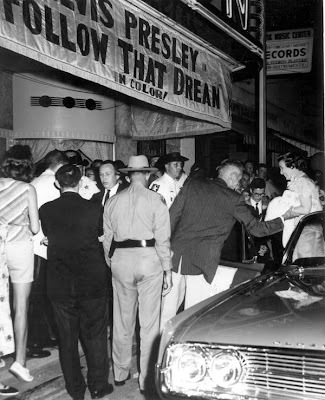 A search in the state archives led me to this image from 1962 showing the wife of then Florida Governor Farris Bryant arriving for the world premiere of "Follow That Dream" starring none other than Elvis Presley. 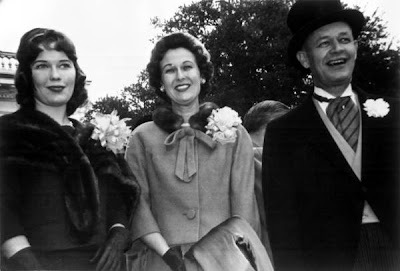 I was not familiar with Governor Bryant and soon learned that the Marion County native was elected governor in 1960 and served one term and later was part of Lyndon Johnson's administration. 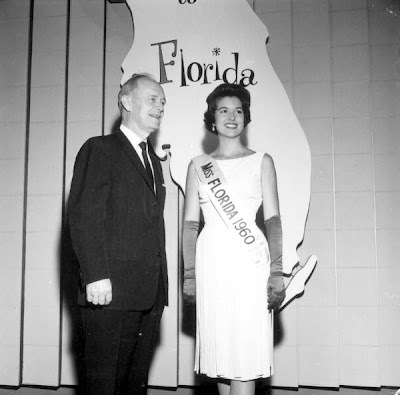 The most notable achievements in his term as governor were his role in securing funds for Florida's Junior Colleges and his support of the Cross Florida Barge Canal. 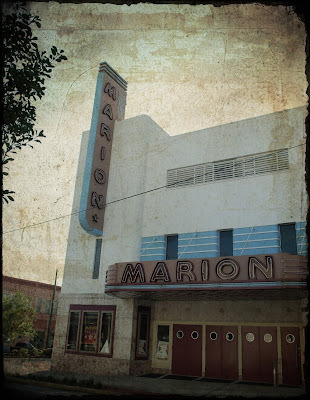 According to the March 19, 1962 issue of the Ocala Star Banner, the World Premiere of "Follow That Dream" was scheduled for April 10 at the Marion Theatre. 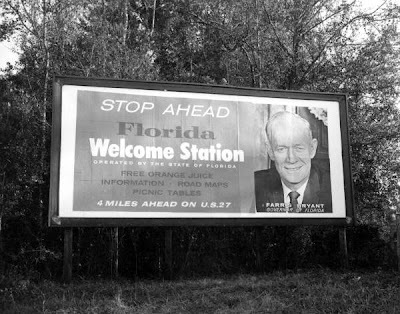 The filming of much of the movie took place in Ocala and further west near Yankeetown and Crystal River. Governor Bryant was invited to the opening, but I'm not sure if he was in attendance. 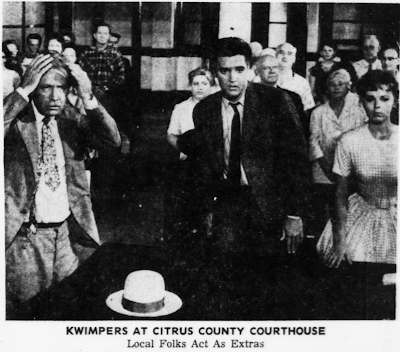 The April 11, 1962 edition has stills from the movie which was said to be Elvis' first comedy. 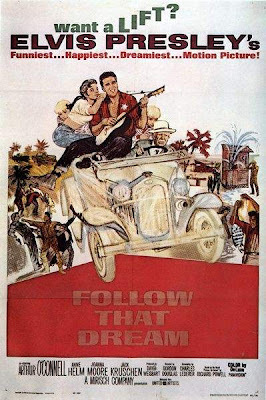 Elvis was not able to attend the premiere, but according to plans published in the April 4th edition, "a motorcade, escorted by the Marion Sheriff's Posse and the Ocala High School Band" was scheduled to arrive with "dignitaries in tow." 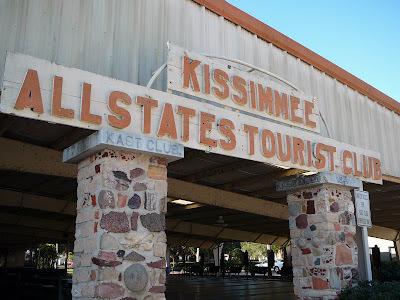 Another interesting bit of Florida history connected with "Follow That Dream" is that scenes from the movie were filmed in the Citrus County Courthouse in Inverness Florida. 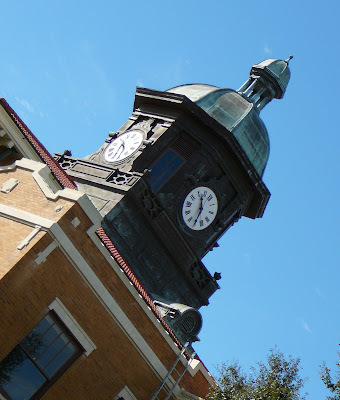 When the courthouse was to be restored, (it now houses a museum), the best visual record contractors could find of the courtroom's original state was the footage from the the Elvis movie. 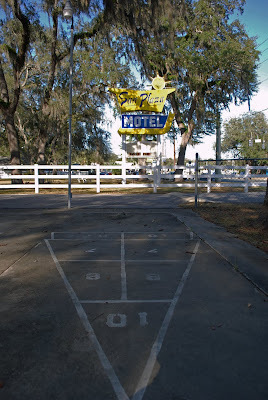 I'm a member of the Society of Commercial Archeology and as a result I like to search out relics from America's roadside past. 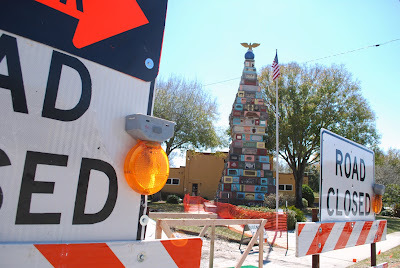 I've been on tours that followed the Lincoln Highway in Nevada and most recently followed Route 66 in New Mexico. So I'm always up for a little roadside exploration in my home state. 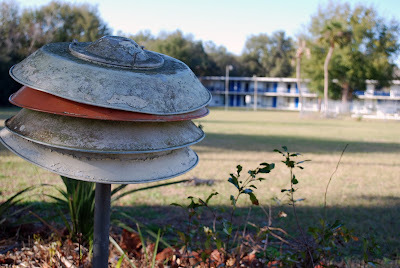 Ocala is a great place for roadside archeology because of the longtime attraction of Silver Springs to tourists. 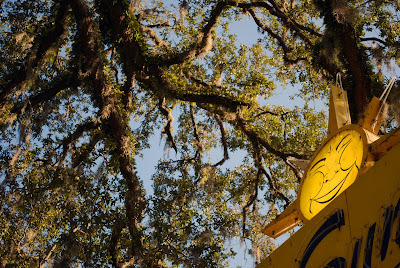 US 441, a major pre-interstate artery to the north, bisects Ocala, and Silver Springs Boulevard leads travelers to the famed attraction from 441. 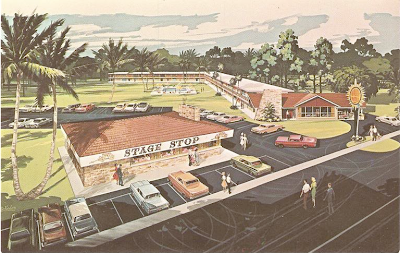 Over the years restaurants, motels and even other attractions popped up along Silver Springs Boulevard, and some of them have survived over time. 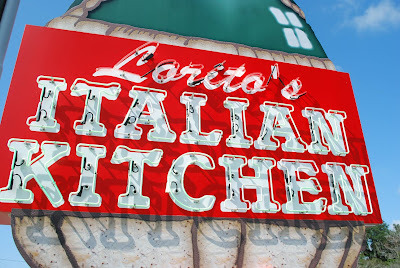 On my most recent visit my first roadside retro stop was Lorito's Italian Restaurant. 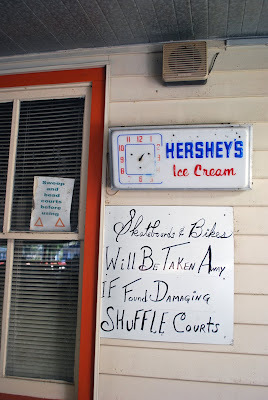 And yes I ate there because of the sign. 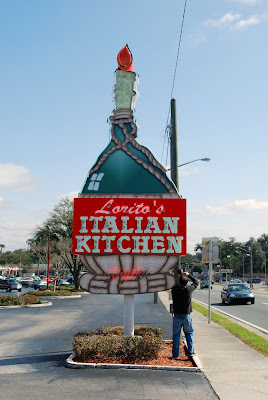 My guess is that Lorito's has been around since the 1960s. 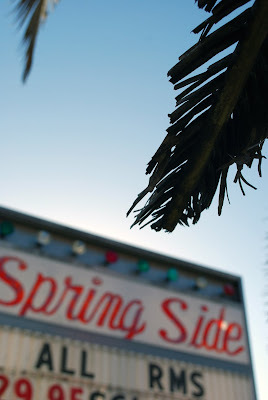 It has that great neighborhood restaurant feel you'll never find in an Olive Garden. The front room has a wonderful, dusty old menu board and fast food-type booths, but the back room has dark paneling, dangling plastic grapes, hanging Chianti bottles, a Mona Lisa reproduction and everything else you want in a quintessential old school Italian restaurant. The pizza oven looks very well used and we enjoyed our meal there. 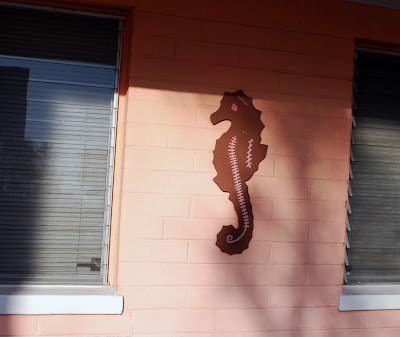 The shadow from the neon is not real, but part of the sign which has been covered with digital output rather than repainted. 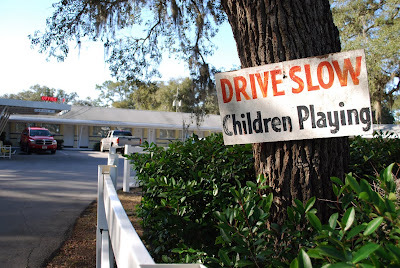 As you travel west on Silver Springs Boulevard, you approach the area that used to have one of my favorite childhood attractions, Six Gun Territory. 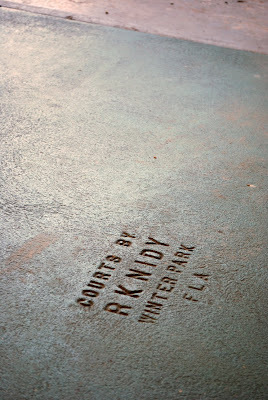 It's a shopping center now, but there are a few reminders of the old west style attraction still hanging on. 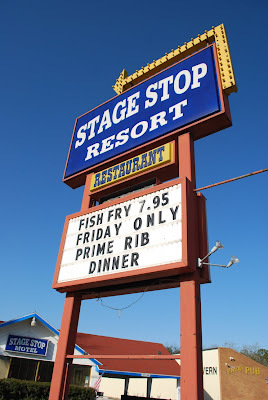 The best example of this is the Stage Stop Motel and Restaurant. 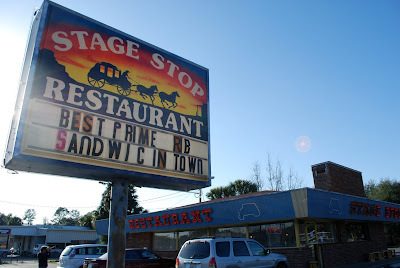 Obviously, a shell of what they were in their heyday, the "Stops" are hanging in these tough economic times. I am particularly intrigued by the restaurant and hope to try it some time. 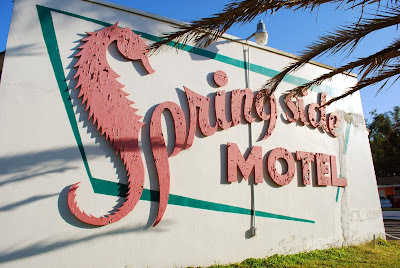 As you approach Silver Springs some great vintage Florida Motels reveal themselves. 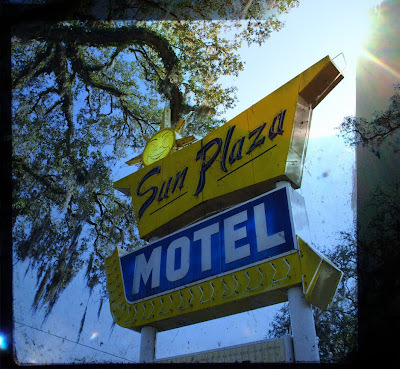 Their age is well evidenced by the decay of some of the facilities and in the case of the Sun Plaza, the Live Oaks have grown over the top of the wonderful neon sign. 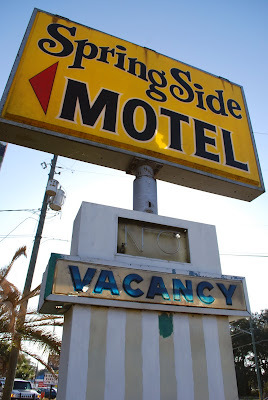 While I'm not sure I'd stay at some of these places, I'm glad they still exist and that there are alternatives to the vanilla standardized chain motels that are clustered around the interstate. 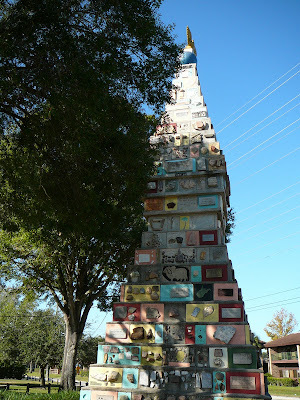 If we can preserve some of these unique mid-century roadside gems, our state will remain colorful and interesting for future "roadside archaeologists" to discover. 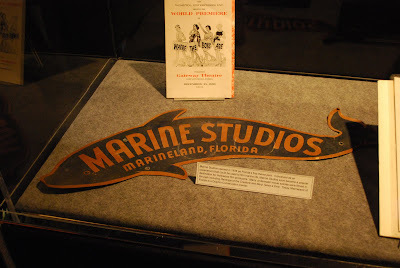 Here's some more tidbits about Marine Studios, which was home to much of the film production in Florida in the first half of the twentieth century. 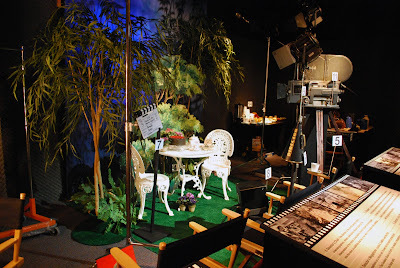 Marine Studios co-founder Merian C. Cooper’s name on the Hollywood Walk of Fame is misspelled "Meriam C. Cooper"
The idea for the movie King Kong reportedly came to Cooper in a dream. About the movie he was said tell the movie’s heroine, Faye Ray, “You are going to have the tallest, darkest leading man in Hollywood". When a deal to sell the technology created to make up the Marine Studios Ocenarium with a group in South Florida fell through, the rival operation simply hired away much of the Studios trained staff and opened the Miami Seaquarium. 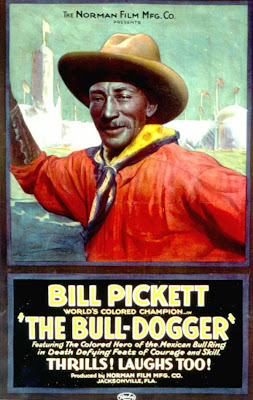 The Seaquarium’s trained dolphin “Flipper” eventually eclipsed Marine Studios’ Flippy as the world’s best known dolphin. 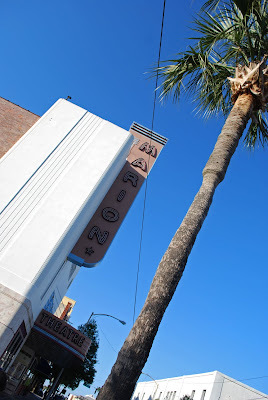 The Orange County Regional History Center in downtown Orlando currently has an exhibit called Lights! Camera! Action! 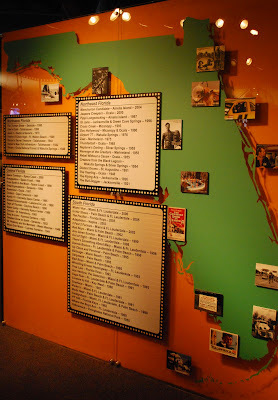 that displays some of the history of film and television production in Florida. 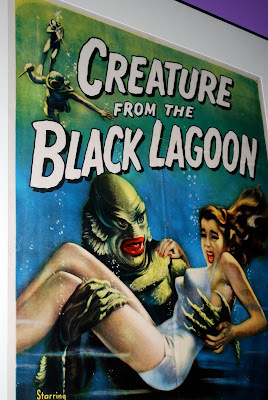 Included in the exhibit is memorabilia from Marine Studios, a movie poster from the “Creature of the Black Lagoon” and a re-creation of a movie set. 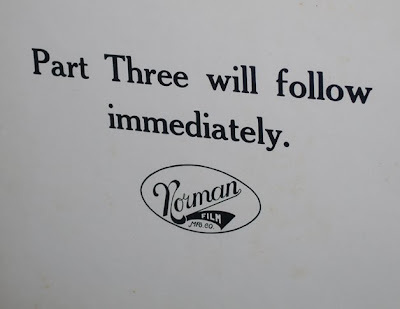 Some of my other favorite artifacts were movie posters from Elvis' “Girl Happy” (filmed in Ft. Lauderdale), Esther Williams' “Easy To Love” (filmed at Cypress Gardens), and artifacts from the Norman Film Manufacturing Company of Jacksonville.